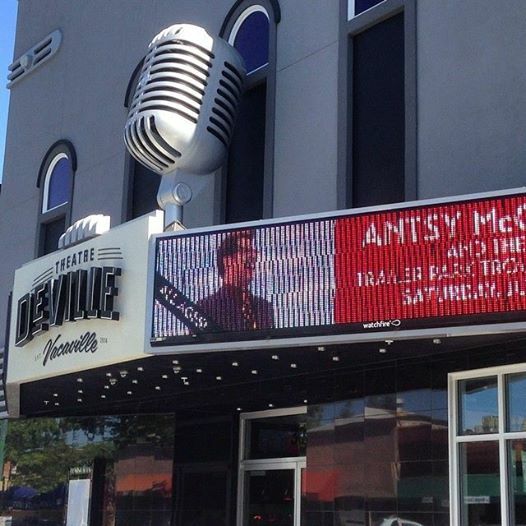 DeVille Billboard – Vacaville, CA. It was fun to see their scrolling banner. I think this was a first for me. And that mike on the roof!